Our custom pergolas are designed to compliment gardens, walkways, and other outdoor areas. Each metal pergola features cross beams and an open lattice design. Custom color and size options are available on all projects. 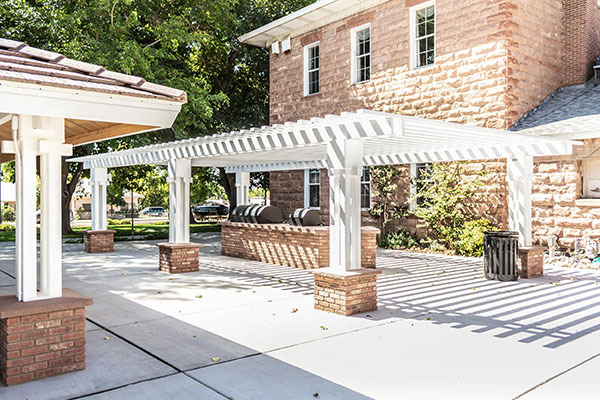 Call today at (801) 414-1724 to get started on your pergola order. Be sure to checkout our pavilions as well. We are a manufacturer, not a third-party representative group. 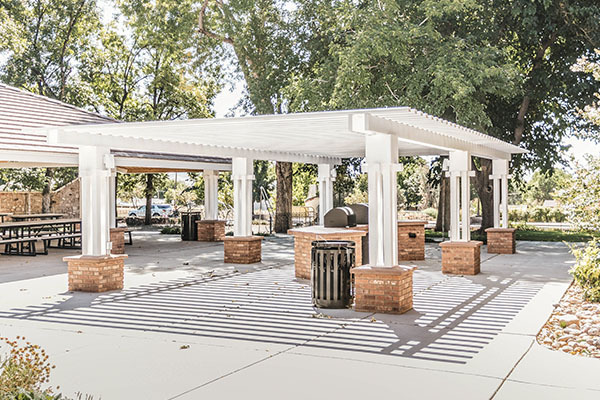 For questions regarding your pavilion order, contact Russel anytime at (801) 414-1724 or email russelhsmith@gmail.com. Why Add A Pergola To Your Commercial Or Residential Area? 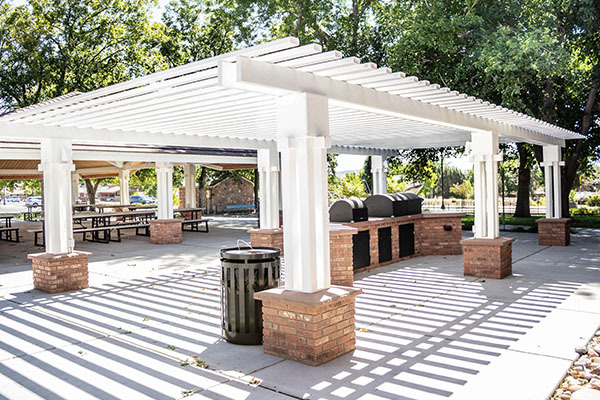 Below are a few of ways that a pergola can transform your backyard or park area. Create a backyard oasis with an outdoor kitchen pergola. The pergola is perfect for a BBQ or bar area. It adds functionality to your backyard and makes it perfect for hosting cookouts all year long. Incorporate a pergola into your garden area. This provides an area to add hanging flowers or trellises. You will also be able to enjoy the outdoors without feeling the hot sun rays. Spend time under the steel pergola after taking a dip in the pool. Poolside pergolas make an ideal lounge space to add patio furniture or a cooking area.